App Inventor Master Trainers have successfully completed intensive training with MIT on all aspects of using and teaching App Inventor. These Master Trainers are certified by MIT. They both teach App Inventor to users, and teach App Inventor education to teachers. Certified trainers who can serve your school or organization are listed below. Muhammad Ahsan is from Chicago, IL. He has been working as a Software Engineer for 6 years and particularly has experience working in iOS and Web development using React JS and other mobile technologies. Muhammad wanted to be a mentor and App Inventor inspired him with its unique way of creating things. He has taught students on different platforms before but to become a master trainer opportunity excites him to the next level of learning and seeking for different teaching endeavors. Currently, he am working on starting a Sunday coding school for different age groups. Muhammad completed his Bachelors of Engineering in Computer and Information Systems from NED University of Engineering and Technology, Karachi, Pakistan. He has an extensive background in the innovation of technology and passion to promote computational thinking in youth. Sarah Blanchette is a middle school teacher from San Jose, California. She started as a science teacher; when she saw the need for and the benefit of robotics and computer programming classes, she jumped in with both feet. Sarah started with Lego Mindstorms robots and its simple block programming. Through the Project Lead the Way program, she then added VEX robots with its RobotC programming language. Now she is having a hoot expanding the line up to include MIT App Inventor. Natalie Binion is a Telecommunications Specialist working in the Central Office at AT&T in Michigan. She has a passion for knowledge and for helping other to be successful. 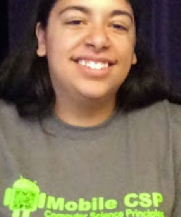 Natalie learned how to build Android mobile apps through AT&T’s ASPIRE Inspire Mentor (AIM) program initiative hosted by Organization of Asian Indians (OASIS). The training was instrumental in teaching her how to make Android mobile apps. As part of the program, she agreed to complete 20 hours mentoring others to make their own apps. Natalie chose to mentor to mentor teenagers and began conducting classes that were set up by herself and school officials. The classes were so successful and in in such high demand that after her 20-hour commitment was complete, she decided to give back to the community to teach classes. Natalie has held many local workshops and has accepted invitations to travel to other cities as well. Natalie has degrees in electronics, electrical engineering technology and information systems. She is excited to be a part of the MIT App Inventor Team and looking forward to working further with educators! 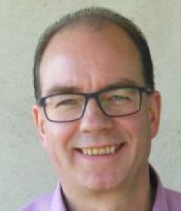 Sjaak has a bachelor degree in electronics and is a software designer and OpenVMS systems manager since 1984. In 2005 he graduated as a certified Java programmer at the Dutch Open University. As a teacher he taught adults to become OpenVMS and ALL-IN-1 (both originally Digital Equipment Corporation) systems managers and programmers. In 2012 Sjaak started the project Walk the City and built the Android version with App Inventor. In 2016 he participated in the MIT Master Trainers Program In Educational Mobile Computing to become a certified professional in mobile computing education using the MIT App Inventor platform. Since then his motto is “Computer Science For All”. Francis is the Director, Group Human Resources (Projects), responsible for HR analytics, systems, and infrastructure, at Esquel Group, a leading textile and apparel manufacturer with operations throughout the world. Prior to Esquel, Francis spent over a decade with human capital management solution providers, and has extensive experience helping organizations of all sizes improve employee and organizational performance. In his early career, Francis worked for technology start-ups in the San Francisco Bay Area in software engineering roles. 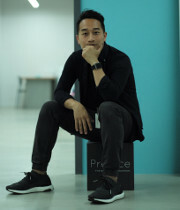 Francis is passionate about combining these experiences, leveraging human capital management systems and processes, and promoting computational thinking, to unleash human potential of employees and youth. Francis holds a BS and MS in Computer Science from UC Berkeley. He also has an MBA from the Haas School of Business at UC Berkeley, and an MSc in Strategic Human Resources Management from the Hong Kong Baptist University. Xiangqun Chen has a Computer Science degree from the Computer Science Department of East China Normal University; she currently teaches information technology at the No. 3 Senior High School of Shenzhen. 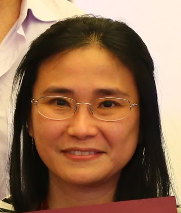 She is a member of the Shenzhen K-12 Information Technology Center Group, the chair of the Shenzhen K12 Excellence in Technology Club, a member of the Google China CS Education Program Advisory Group, and a recipient of the 2016 Google Faculty Award. In 2016 and 2017 she hosted CS4HS as a chief lecturer, and from 2015 through 2017 she served as a judge for the Google K12 Student App Development Challenge. Her curriculum “App Inventor and Maker” received development funding from Google in 2017. 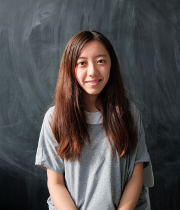 In 2018 she has mentored six Shenzhen teams participating in the Technovation program, translated the Technovation curriculum to Chinese, and advised the students through video recordings and online live teaching. Emily is the IT panel chair of a primary school in Hong Kong. She teaches mainly STEM by using MIT App Inventor, Scratch and robotics. She is one of the teachers joining the CoolThink@JC project to promote computational thinking and coding education in Hong Kong. In 2017-2018, she is a part-time secondee of the IT in Education Centre of Excellence (CoE) from the Hong Kong Education Bureau to support local primary schools in implementation of IT in Education. 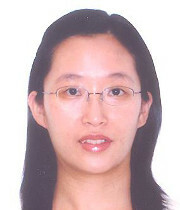 She is a Master’s candidate for Information Technology in Education at the University of Hong Kong. 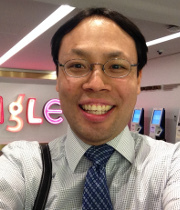 Matthew Cheng is a High School Computer Science and Mathematics Teacher and an Adjunct Professor in New Jersey/New York metropolitan area. 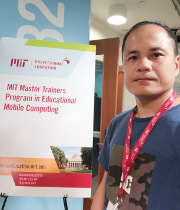 After becoming a MIT Master Trainer, he started AppInventor.io, (http://www.appinventor.io) a website that provides teaching materials for MIT App Inventor. He earned a B.S. in Computer Information Systems, a M.S. in Digital Forensics and Cybersecurity and a Graduate Certificate in Computer Science for Digital Forensics from John Jay College of Criminal Justice (CUNY). Matthew also earned a M.A.T. in Secondary Education Mathematics from William Paterson University where he was named a Woodrow Wilson Teaching Fellow and received the Robert Noyce Teacher Scholarship. He was twice elected to his local school board where he ran as an independent candidate advocating for transparent decision making and the creation of new STEM programs. He is passionate about bringing Computer Science education to all communities and bridging Computer Science and Mathematics in the classroom. Leo Chung completed his Computer Science and Statistics degree at the University of Otago, New Zealand. He is now a primary teacher in Hong Kong. Leo is also a participant in the CoolThink@JC Project, a primary school based project for promoting coding education. He teaches Scratch, App Inventor and hosts after-school programming workshops. 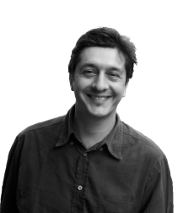 Fabio D'Agnano has worked with three-dimensional modelling and rapid prototyping for more than twenty years. He specializes in project communication and 3-D modelling and prototyping for architecture, Arduino and Digital Fabrication. He is co-curator of the Educational Projects / Call for School of the European Makers Faire Rome since the first edition of the Call for School. He is Director at the Digital Architecture Post-graduate Master's Course, and he teaches Three Dimensional Modelling and Representation at the Architecture University of Venice: www.masterad.it. He is a consultant for Triennale di Milano, as technology expert for the XXI exhibition- New Craft. He is also a consultant for the "Fondazione Nordest" in the project fablab@scuola. The project aims to bring fablabs to high schools in northern Italy: www.fablabascuola.it. He is founder and partner of Tooteko, a system that combines 3d printing and electronic sensors in order to let blind and partially sighted people perceive the works of art: www.tooteko.com. He has been part of the Samsung App4Kids Program in Venice (IT), aimed to teach how to program with App Inventor. He is partner and manager at Glass Architettura Urbanistica Engineering. With this firm he managed many projects around the world and won several international competitions: www.studioglass.it. He also authored the handbook "3d Max per l'Architettura" (Apogeo Editore, Milano, 2006) that sold more than 10.000 copies. Suzan has a Bachelor's degree in Computer Science with a minor in Electronics and a Master's degree in Computer Science-Cyber Security. Suzan Dalgic is a Computer Science teacher at Tulsa School of Arts and Sciences in Tulsa, OK. Suzan has been teaching Computer Science and Technology Applications for 8 years. She was also an IT Manager for the past 4 years. She did FLL and VEXIQ Middle School Robotics and attended to the competitions with her students for 4 years. Currently, Suzan is an FTC coach and is teaching 8-12 Computer Science programming classes. 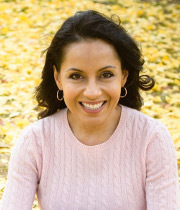 She is a Texas certified 8-12 Computer Science teacher, NISE certified STEM educator, Oracle certified Java fundamentals, and programming teacher and MIT certified Mobile Education Master Trainer. High School for 20 years. I love teaching, computers, my own kids and family, music and sports. 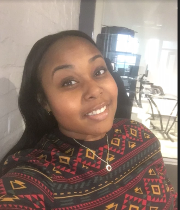 Raycelle is a lead programming instructor for children at First Code Academy, believing that teaching coding and technology is a great opportunity to inspire young minds. After embarking on her career in the Bay Area, she decided to return to her hometown of Hong Kong and pursue her strong interest in the field of education. First Code Academy presented an ideal opportunity for Raycelle to attain this aspiration. 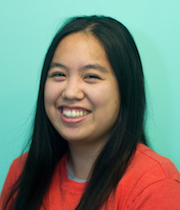 Upon joining the team, Raycelle delved into the world of programming, technology, and education. Raycelle has a B.A. in Mathematics and a minor in Math and Science Education from UC Berkeley. 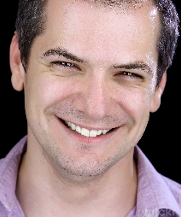 Sinisa Glamocic is an IT educator and curriculum developer with a focus on elementary and middle school IT programs. He has bachelor degrees in fields of economics and business management with work background and experience in the IT sector. As he is passionate about CS and science in general, he established "Blue Light SciTech Club" with a main goal to provide educational resources and environment for children's development in the fields of science and technology. Sinisa is currently living and working in China. Akil is an artist with a passion for information technology. He has worked for Amazon and founded the Houston Google Developers Group. He has shared his passion to tech social audiences across the U.S. He teaches at TX/RX Labs hackerspace and has taught App Inventor at North American University. 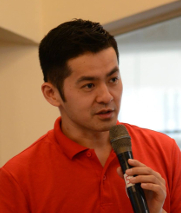 He also has been a Google Apps partner since 2008 and managed a co-working space for mobile tech startups. In his free time, you can find him fishing in freshwater bayous with his young Russell Terrier pup or creating geometric art in his backyard studio. 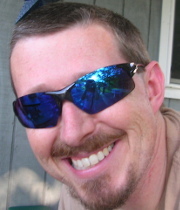 Jeff is a Computer Science Instructor at Shasta College, located in Redding, California. 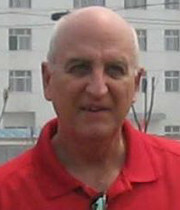 Prior to this position, he taught Business and Technology classes at the high school level for 15 years. He earned a B.S. in Management Information Systems from California State University, Chico, and then an MBA from Corban University in Salem, Oregon. Jeff is currently working with his area high schools to help integrate CS programs that include App Inventor, Vex Robotics, and Python programming. He is also working with his peers to incorporate App Inventor into the Intro to Computer Science courses at Shasta College. Jeff is passionate about teaching and encourages students from all disciplines to learn App Inventor because it is a fun way to discover coding. In his free time, he enjoys spending time with his wife, which includes traveling, playing roller hockey, going to see movies, and gaming with the family. 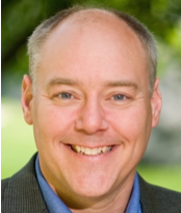 Clark Hochgraf, Ph.D., uses MIT App Inventor to teach design thinking and making skills to students at the Rochester Institute of Technology. He finds joy in making technology accessible and useful to more people. 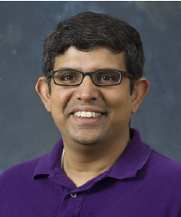 As associate professor of electrical engineering technology at RIT, he teaches digital signal processing and microcontrollers using a hands-on, learn by building approach. He works with community organizations such as Rochester Roots and Rochester Makerspace to promote youth wellbeing and technology education by connecting college students to community members in service learning projects. Clark is a maker who has built electric go-carts, scooters, bikes, hybrid automobiles and co-launched the first solar-charged, student-designed college campus electric bike share in the US. He holds 12 US patents ranging from Megawatt-scale power inverters to hydrogen fuel cell membranes. Before teaching, he worked 11 years in industry as an engineer for Westinghouse, Ford/Visteon, and General Motors R&D. His current research is on using smartphone technology to prevent automobile crashes. For fun he builds Arduino powered spiro-graph drawing machines. 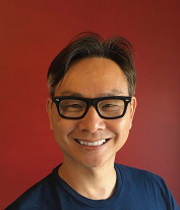 Dr. Hsu is Associate Professor of Educational Technology at Boise State University, and teaches graduate courses on graphic design, mobile app design, and maker tech for STEAM education. 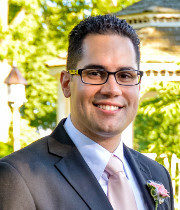 His research interests include mobile app programming, physical computing, collaborative learning, and computational thinking. 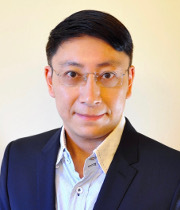 Dr. Hsu is an App Inventor Summit invited speaker from 2012 to 2014. 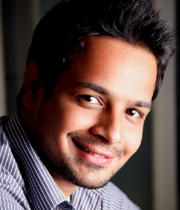 He designed and taught online graduate courses on mobile app design since 2011. He also offered summer courses on mobile app design to Idaho TRiO students (low income, first generation pre-college students) since 2012. Dr. Hsu's graduate students from his mobile app design class and submitted their final projects for a competition won the first and second place in 2012 MIT App Inventor App Contest for their creativity, interface design, and the educational values of the mobile apps. His recent grant award (2015-2017) funded by the National Science Foundation focuses on helping STEM major students integrate trigonometry in mobile app programming. 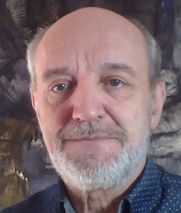 Pierre Huguet started teaching computer science to middle and primary schools students in 2015 within a Non Governmental Organization acting towards digital literacy in geographic areas where it lacks support. 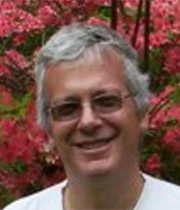 He is a physicist in fluid mechanics from Ecole des Mines, with secondary master degree in history of sciences at CNAM. He has been responsible for meteorology and digital mapping programs and R&D, member of the national met office scientific committee and vice chair of a NATO meteorological working group. Pierre is now involved in programs to help teachers use computers as tools for their students to become active members of the digital world and better understand other disciplines such as physics. He intends to train teachers and experiment with them how students can connect sensors, algorithms and actuators, relate observation to theory and how to trigger students" interest in physics. Rich Interdonato, PhD, teaches about device mediated health behavior change as an Assistant Professor in the Department of Health Promotion and Education at the University of Utah. He has been training students to use free Internet tools for Health Promotion and Education since 2011, and to develop mobile health apps with App Inventor since 2013. In 2012 Rich was awarded funding to develop an online, Applied Health Technology course series that featured app development with App Inventor, and in 2014 the App Inventor course was designated as fulfilling Utah’s undergraduate Math credit requirements. 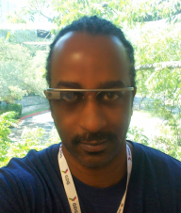 Rich has taught App Inventor development one-on-one using the Google Helpouts platform, and has presented at the University, State, and National levels to encourage non-programmers to use App Inventor to solve personally meaningful problems. 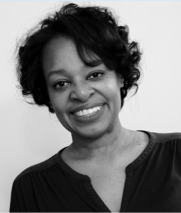 Nakeia C. Jones is a former Baltimore City Public School Educator who now works as a Lead Program Associate for the Network for Teaching Entrepreneurship. She has a B.S. in Hospitality Management with a concentration in Marketing and a M.Ed. in Secondary Education. She enjoys working with diverse learners and prides herself on creative, out of the box thinking in order to solve problems. She completed the MIT App Inventor Master Trainer certification in August 2017. 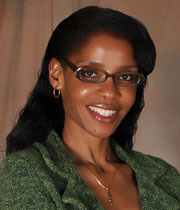 Dr. Abigail Joseph has an extensive background in the innovation and application of technology as an agent of change. Her commitment to educating youth began in California’s Silicon Valley in the MESA Center and classrooms at Cabrillo Community College, after school programs in Oakland and Richmond, and serving as Faculty Advisor at the National Youth Leadership Forum on Technology . Her journey as an educator continues in the San Francisco Bay Area, where she has spent the past five years developing computer science programs at Bay Area schools and working as volunteer for Black Girls Code. She currently works as a PK-12 Computer Science Teacher at The Nueva School in HIllsborough, CA, where she continues to develop her interests in educating youth in the intersection of Design Thinking, Computer Science, Art, and Social Justice. Abigail always looks forward to the innovative spirit that Verizon Innovation App Challenge brings, and is excited to again facilitate meaningful change as mentor to a winning team. She holds a B.S.E in computer science from Princeton University and a M.S./Ph.D. in computer science from the University of California at Santa Cruz. Felicia Kamriani is an instructional designer at Google who is passionate about global education, informal learning and all things App Inventor. She has evangelized mobile computing education at the UNESCO YouthMobile conferences in Paris, France and Doha, Qatar and at universities and organizations in China, Hong Kong and the US. She is the former Education and Business Development Coordinator for MIT App Inventor and has created online lessons, courses and trainings for MIT, Harvard University and the University of San Francisco. In 2016, Felicia co-authored, App Inventor 2 Essentials, an introductory book to mobile app development. She is an involved alumna of Harvard University, Stanford University, and the University of California, Berkeley. Gene has been a teacher in China since 2002, most recently in Nanning, Guangxi Province at Guangxi University and the Nanning Foreign Language School teaching English, computer science and electronics. Before he came to China he was a computer programmer/manager for 27 years working as a computer programmer contractor in a variety of corporations on the East coast of the United States. 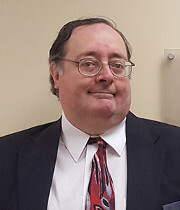 Toward the end of the 1990's he began to transition away from mainframe programming and retool with the C family of languages and focused on developing skills in the LAMP environment. 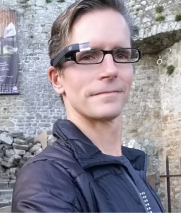 Most recently, a parallel interest in robotics drove him to find a connection between the smart phone (which virtually all of his students possess and love) and external device control which led him to Appinventor with its Bluetooth capabilities. Having seen that and all the rest of Appinventor's potential, he decided to become a Master Trainer and bring Appinventor technology and its educational philosophy to South Central China. 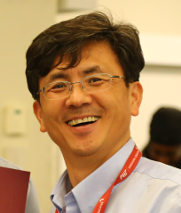 Hak J. Kim is an associate professor of the Department of Information Systems and Business Analytics (IS/BA) in the Zarb School of Business at Hofstra University. He earned a Ph.D. in information systems from the University of Pittsburgh. Dr. Kim's research includes mobile location-based services with mobile app, big data analytics in social media, cyber security in cloud computing, and digital forensics. He is currently building the real-time location tracking and positioning system using wireless networking and mobile apps. This system can be integrated into a hospital management system and will provide relevant information across the hospital to support effective decision making for patient care, and hospital administration. Dr. Kim has a strong interest in pre-college (K-12) education. He has organized a mobile app summer camp for students and teachers to learn how to program mobile apps and games in their smartphones and tablets. 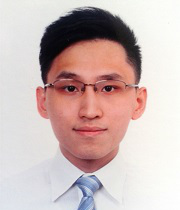 Haksung Kim attended Catholic University of Korea - Major : Psychology (Bachelor degree) and works in IT education development and lectures at Seongnam city government. Haksung is a member of the science specialization committee of Seongnam city government. 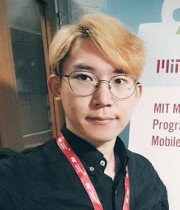 He has taught MIT App Inventor classes at elementary schools, junior high schools, high schools, and colleges in Korea. He has experience teaching MIT App Inventor to children in Korea, Japan and the United States. Haksung has published books on MIT Scratch and MIT App Inventor in Korea. He has fostered Korea's software education, specialising in training teachers. He has completed the Neurofeedback Trainer Basic qualification in the Korea Neurofeedback Institute and completed his education at LEGO® Education. Haksung is a member of the Board of Education of Mensa Korea. He has over 220 hours of government certified social service time. His dream is for poor children to receive IT education without any worries. 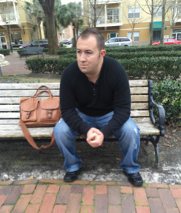 Ryan Kinser is an Instructional Technologist at The Out of Door Academy (ODA) in Sarasota, Florida. He also teaches high school students online at Florida Virtual School. Ryan helps teachers innovate, and he works to connect students with real-world projects. He sees App Inventor as an exciting way to develop students and teachers as Makers. 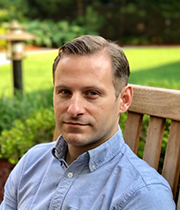 As a former teacher advisor to the Bill and Melinda Gates Foundation, the Center for Teaching Quality, the Teaching Channel, and Hillsborough County, Florida, Ryan advocates for hybrid teaching roles called Teacherpreneurs, which encourage teacher leaders to advance their profession without completely leaving the classroom. His primary interests are online learning, teacher professional development, and design-thinking in STEM education. 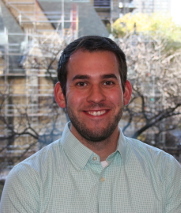 A Google-certified Teacher (Level 2) and 2016 PBS Learning Media Digital Innovator who has taught students of all levels and ages, Ryan offers schools and organizations professional development focused on prototyping with AppInventor in any subject. Rosanna is Cofounder and Digital Literacy Lead at the Digital Leadership Institute (DLII.org), a Brussels-based, international NGO whose mission is to bridge the gender gap and digital divide worldwide. She is an Architectural Engineer by training and holds a Masters Degree in Building Physics from Kyoto University in Japan. 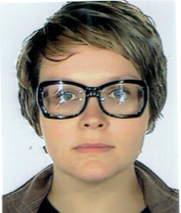 Rosanna is an experienced CAD designer and cut her teeth on Fortran programming to model building heat transfer. For the past several years, Rosanna has led development of innovative, hands-on curricula to promote uptake of digital skills, particularly among girls and women. As g-Hive.org Community Manager at DLI, she regularly leads hands-on, fun and result-oriented workshops in the areas of computer programming, data visualisation, and 3D design. Her passion is to make everyone understand that digital skills, computer programming and mobile app development are powerful tools for solving real-world problems. Pauline Lake is the Mobile CSP project’s Teaching Consultant. Mobile CSP is an NSF-funded effort to train high school teachers to teach the emerging AP CSP course that engages students in building mobile apps with MIT App Inventor. She supports the teachers in the classroom and virtually, helping with technical issues and with instruction. She is one of two full-time staff persons and is closely involved in all aspects of the project, including the curriculum, assessment, and PD. She is also graduate of Trinity College with a B.A. in Computer Science and Educational Studies and a Master’s in Public Policy with a concentration in Education Policy. Pauline has been teaching CS to middle- and high-school students in the Hartford area since 2010. 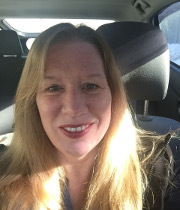 She has also taught the Computing with Mobile Phones course at Trinity College and has served as the Vice President/Secretary of the Computer Science Teachers Association Connecticut chapter as well as Secretary of Random Hacks of Kindness Jr which promotes 4th-8th grade students coding for a social good with MIT App Inventor. Carly has B.S. degree in Computer Science from University of New South Wales Australia. She has 10 years of commercial experience working on software solution, e-Commerce portals and mobile applications development. Carly is the director of CS One Academy, an academy that offers school holiday coding programs to primary school students. She is involved in designing the curriculum for web development and mobile applications development programs using MIT App Inventor. She facilitates coding lessons to ensure students are engaged throughout the program. Her goal is to engage children in the world of computer science as creators rather than just consumers, and at the same time spark their creativity and develop their problem-solving and critical-thinking skills. Ruby Lam is a primary school teacher from Hong Kong. She is one of the second cohort of teachers joining the Coolthink@JC project. She believes that primary school education should be key in laying the foundations for the computational thinking necessary to support participation in a computing-rich society. And beyond solving problems with computers, young people should develop perspectives like digital empowerment, which enables them to see how challenges in the world around them could be addressed through computing. Being an MIT App Inventor Master Trainer, she hopes to help more people enjoy the fun of coding education. Tony is the Computer panel head of a local primary school in Hong Kong. He started as a mathematics teacher. 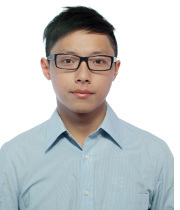 He is one of the first batch of Hong Kong teachers joining the CoolThink(at)JC project to promote computational thinking and coding education in local primary schools. Please visit Tony's Facebook Page "Tony Lam: Humanities in a STEM world", where he shares posts related to STEM education as well as his own teaching videos. 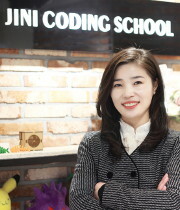 Jieun Lee is the CEO of Jini Coding School Academy, an education startup that teaches coding to kids from six and above in South Korea. 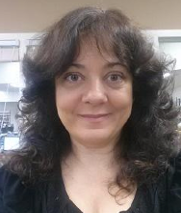 She has been teaching computer science at elementary schools, universities and Lifelong Education Institutes for 20 years. She currently designs and trains Entry, Scratch, App Inventor, and Micro:bit to women who would become coding instructors. She is also the head of the Busan branch of the Korea Coding Association and is responsible for developing and designing core curricula for coding certificates. As CEO at Jini Coding School Academy, she is actively involved in exploring and learning new coding platforms for young learners, and has designed curriculum materials for students from unplugged training to project training. She has a Bachelors degree in Electronics and Communications Engineering and Computer Engineering, and a Master's degree in Computer Education. She enjoys constantly studying and developing as a Ph.D. student in Education and Media Convergence. Ringo Lee is an IT professional. He started his career in the information technology industry where he worked in software development and testing, project and program management, quality management, software engineering process improvement, risk assurance and goverance. 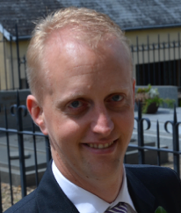 He currently works as IT and Operation Risk Stewardship Specialist in Financial Services. 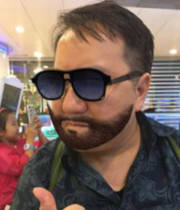 Ringo is passionate about his values, helping others and is dedicated to the promotion of computational thinking, successful future for our upcoming generation. He holds a B.Sc. in Computing & Information Science from Queen's University, a M.Sc. in Engineering Management and is a doctoral candidate in Engineering Management at City University of Hong Kong. Angus graduated from the Hong Kong Baptist University with a Bachelor’s degree, major in Mathematics Science and minor in Computer Science. He holds a masterS degree in Educational Studies from the University of Hong Kong. He has various sorts of experience in teaching programming. He is passionate for seeking out new knowledge and actively developing new skills. He shares his experience with colleagues in an attempt to promote computational thinking for kids. 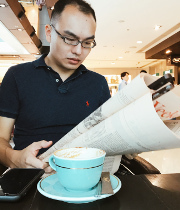 He is one of the Hong Kong teachers joining the CoolThink at JC project to promote computational thinking and coding education in local primary schools. 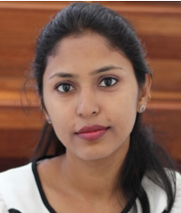 Queena is a founding team member of Preface, a global award winning technology and design-driven Edtech start-up providing personalised education in the fields of today’s Emerging Knowledge (e.g. Coding and Design-thinking) using AI and Machine Learning. Queena has extensive experience in both teaching and programming, where she has developed Apps and Websites with Programmers in Asia and Brazil; and she regularly teaches kids age 5+ in the fields of Coding with block-based and text-based programming languages. In the hope to enhance and bring forward education, Queena aspires to expand coding and further refine coding curriculum for all learners, especially in Asia. Kitty is a teacher who teaches Computer and STEM in Primary School. She was also an experienced Information Technology teacher in Secondary School at K7-K12 before she explored different possibilities in Primary School. She uses different techniques for teaching and learning. Besides being a Certified MIT Master Trainer in Educational Mobile Computing, she is also a Microsoft Certified Educator, Microsoft Innovative Educator Master Trainer and Microsoft Innovative Educator Expert, Second Runner-Up: Group Challenge: Make What's Next Gamify (Microsoft Education Exchange in Toro, Canada.) and won the most Influential Microsoft Innovative Educator Award. She tries different teaching methodologies to stimulate a student’s creativity and cooperation. Cultivating students' problem-solving skills and learning interest by learning in a real environment, is one of her objectives in teaching. 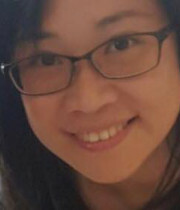 She is one of the Hong Kong teachers joining CoolThink(at)JC project to promote computational thinking and coding education in local primary schools. 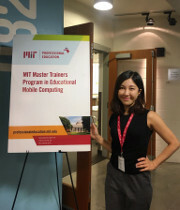 After becoming an MIT Master Trainer, she will try different ways to promote Computational Thinking and Coding not only to students but to teachers. Hopefully she can introduce “From Computational Thinking to Computational Action” which she learned from Professor Hal Abelson. Tommie is the Founder and CEO of Preface, a tech and design driven Edtech start-up providing personalised education solutions for New Knowledge using A.I. technology. Through Preface’s Coffee Shop learning space to their own education Academy, Preface delivers New Knowledge - Programming, Artificial Intelligence, Machine Learning, Design- Thinking, etc. - that are not taught at school but important to survive and excel in today’s tech-driven world to the communities in HK, China and Japan. Tommie’s vision in the new education landscape has lead him to drive Preface to become the first ever Asian Company to win the EdTechXGlobal Award 2018, Google EYE Program 2016 and JP Morgan sponsored Fundraising Program 2016 (NxTec). Vicky Luk is a Computer teacher of a local primary school in Hong Kong. Her students range from grades 4-6. Vicky started as an English teacher and has started teaching computers a year ago. 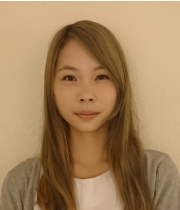 She is one of the second batch of Hong Kong teachers joining the CoolThink(at)JC project. The project aims to promote computational thinking and coding education in local primary schools. At first, Vicky did find it hard to learn App Inventor since she doesn't have Computer Science background. However, when she was exposed to more hands on practice in App Inventor, she realise how powerful it can be in enhancing students’ digital empowerment and boosting their self-esteem. She hopes to make use of App Inventor to help her students to achieve higher. William is the STEAM subject panel head of a Hong Kong primary school. He is responsible for developing a school-based STEAM Education curriculum. He mainly focuses on the pedagogy behind the STEAM education and Coding Education of students at the elementary level. Christophe Machtelinckx is a Computer Science Teacher at the High school Michel Lucius in Luxembourg City. He teaches mainly programming languages like Java, Scratch and MIT App Inventor. He also offers after school programming sessions while developing mobile Applications for Android Phones. He has a B.S. degree in Management and Computer Science from the University of Luxembourg and a M.S. degree in Computer Science and as Pedagogy trainer from the University of Luxembourg. When not teaching he enjoys running and mountain biking in the nature. Sue currently teaches math and computer science at Berwick Academy, a college preparatory school in southern Maine. 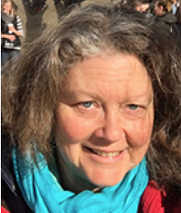 In over thirty years of teaching her courses have included AP Computer Science as well as electives based on robotics, app development, Visual BASIC, C++, Pascal, and long ago, Logo. Her classroom focus is learning-by-doing. The joy she witnesses as students conceptualize and realize programming projects reinforces her own love of computer science and the belief that all students should experience this way of thinking. She is particularly interested in encouraging young women to challenge themselves in this realm. When not in the classroom, Sue can be found in hiking with her camera, biking, or baking with chocolate. 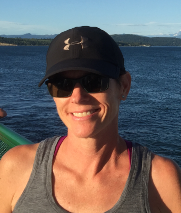 Kathleen is the STEM Curriculum Specialist at Derby Academy in Hingham, MA where she teaches Upper School math and engineering design. She oversees the scope and sequence of the PreK-Grade 8 STEM program and has developed innovative, hands-on STEM curricula to promote computational, critical, and design thinking skills. She is a champion of utilizing authentic project-based STEM applications with a lens on social progress to develop inquiry and problem solving in her students. Her CS course tools include robotics, CAD and vector design, Bootstrap programming, and App Inventor. Kathleen is an active advocate for CS in the state and has served on the CS and Engineering Subcommittee of the MA Governor's Advisory Council on STEM Education. She has designed and presented professional development for teachers at statewide conferences. She also volunteers at several outreach events aimed toward bridging the gender divide and encouraging girls to pursue computer science and STEM fields. In addition, she leads workshops and summer camp programs for her local community in areas including 3D design, cryptography, Scratch, robotics, and MIT App Inventor. 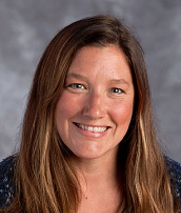 Her work has received accolades including 2017 MA STEM Teacher of the Year sponsored by The Hall at Patriot Place presented by Raytheon and the 2016 Pre-College Educator Award from the BSCES of the American Society of Civil Engineers. Priscilla Mau has a Bachelor's degree in Chemistry, a Master's degree in Linguistics, a Postgraduate Diploma in Education and a Postgraduate Certificate in Advanced Educational Studies. She is a primary school teacher of science and information & technology in Hong Kong. Her school joined the Coolthink@JC program which aims to promote computational thinking in Hong Kong primary education. She has taught MIT App Inventor to 9-11 aged students since 2017. She foresees the necessity of computational thinking (CT) to the next generation so that she attempts to develop the competence of CT via App Inventor. She eventually expects students will feel concern for the needs of other people and will solve their problems by coding. MIT App inventor with its powerful functions is an excellent tool for students to achieve their goals. Joe Mazzone is a Career and Technical Education Instructor at William M. Davies Jr. Career and Technical High School where he teaches Computer and Software Engineering courses to the students in the Pre-Engineering Technology program. Joe has been teaching MIT App Inventor since December 2013 when MIT released App Inventor 2. He is also a trained Mobile Computer Science Principles instructor. He has developed and taught curriculum that teaches students how to develop with App Inventor, Python, C#, Java, Micro:Bit, Raspberry Pi, and Arduino. Outside of his day job, Joe dedicates much of his personal time to computer science education and supports the CS4RI initiative as the Computer Science Teachers Association of Rhode Island’s Secretary and as Technovation RI’s Regional Ambassador. He is also a member of the RI computer science standards advisory team, that developed CS standards for the state. Melissa DeFalco Menge MA, MS is currently the Lead Computer Science Instructor at North Division High School’s NAF Academy of Information Technology in Milwaukee, WI. Melissa began teaching App Inventor after winning a grant for laptops and tablets from Lenovo through NAF in 2015. In the spring of 2016 her team won National Fan Favorite for the Emoji Encouragement App in the Lenovo Scholars’ contest at the NAF Next conference in Orlando, FL. Melissa was chosen to be one of two teachers nationally to receive the NAF Lenovo Scholars’ scholarship to attend the MIT Master Trainer certification program. Currently, Melissa teaches Mobile Apps, Python, Scratch, Computer Systems and Principles of IT at North Division High School, for Milwaukee Public Schools. She also leads “Club Code” for the Boys and Girls’ Club afterschool Community Learning Center. She has supervised computer clubs at both the middle and high School level. Melissa is unique in that she attracts 50% or higher, female students to her Computer Science classes and clubs. She was recognized by the Cisco Networking Academy for having the highest number of female students successfully completing the Cisco curriculum in the state of Wisconsin. She loves working in an urban environment and has dedicated her career to providing technology opportunities to young adults. 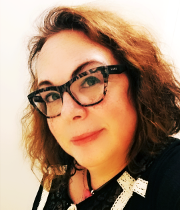 In addition to working with adolescents, Melissa was adjunct faculty for Cardinal Stritch University as an Instructor and Site Coordinator for their graduate level Instructional Technology Master’s program training educators for 7 years. Melissa has been an effective presenter at local, state and national conferences, and has been asked to return by various organizations. She strives to be a dynamic speaker, responsive to her audience’s skill level and needs, bringing new and innovative education, from the classroom to the university, to adult trainings. Anne McGuirk began her career in education as a founding teacher for a charter middle school centered on entrepreneurship. As she helped her school grow to full capacity, she helped integrate business lessons into her science class and watched her students flourish. For the better part of the last decade, Anne has worked in schools in low-income communities in Atlanta, Memphis, and New Orleans. Her passion has always been connecting students with experiences outside of the traditional classroom. Currently, Anne is the Philadelphia area program manager for The Network For Teaching Entrepreneurship (NFTE). She coordinates programming and teacher support for almost 30 NFTE partner schools in the PA, Southern Jersey, and Northern Delaware metro regions. Part of her work is supporting NFTE's Startup Tech curriculum, which combines entrepreneurship education with MIT App Inventor lessons to inspire students to create app-based business ideas. 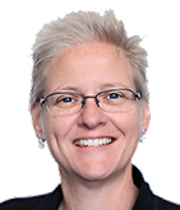 Anne has a Master of Education degree in Secondary Science from Christian Brothers University and holds a Bachelor of Science degree in Environmental Science and Policy from the University of Maryland, College Park. She also has experience coaching and supporting teachers through Teach For America and as an Assistant Principal with KIPP schools. Yvon is a math and technology teacher at IT TAKES A VILLAGE ACADEMY, in Brooklyn, NY. He also runs an after-school club where he coaches students who join the robotics team for the FTC competition. During club hours, He teaches technical and mechanical design that leads to building robots that will later be programmed using the MIT App Inventor programming platform. Yvon also teaches robotics to juniors and sophomores using Legos NXT and the RobotC programming language. He will be implementing a new curriculum about AP Mobile Computing with App Inventor, a two-year curriculum that will get sophomore students to be ready to take the AP exam at the end of their junior year as part of their college or career readiness. Samiya is a Coding Instructor teaching programming at First Code Academy, She is a passionate educator who is teaching young kids how to program using platforms such as Hopscotch, Scratch and MIT App Inventor to name a few. She also runs MIT App Inventor workshops for various primary and secondary schools in Singapore. She is actively involved in exploring and learning emerging coding platforms suitable for young learners and designs curriculum materials for the same. 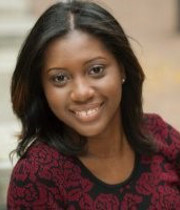 Prior to teaching, Samiya worked as a Software Engineer at Panasonic, Analog Micro Devices and Kenwood. She has a Bachelors degree in Electronics and Communications Engineering, an Advanced Specialist diploma in Embedded Systems and a recently acquired International Baccalaureate in Teaching and Learning (PYP). When not teaching, she enjoys spending time with her children, watching movies and baking. 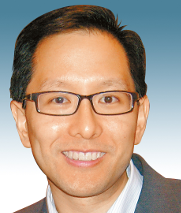 Khoi Nguyen / Tony Nguyen had been serving as a programmer, teaching assistant, researcher and college administrator in British, Australian and Vietnamese educational settings for well over a decade. He has received his Bachelors and Masters degree in Australia from Southern Cross University and Swinburne University of Technology respectively. 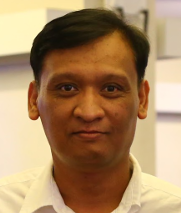 He is currently a lecturer teaching Software Engineering, Cloud Computing, Web Development and Android App Development using App Inventor at Hoa Sen University, Ho Chi Minh City, Vietnam. He is running a weekly App Inventor, LEGO Mindstorms, Arduino, and IoT workshop at the university where all students, including non-CS majors, appreciate the beauty of these technologies as well as develop computational thinking. Using App Inventor together with other technology, he is in the process of creating real-world projects and of documenting them as advanced App Inventor tutorials. Being a NAATI accredited Translator (Professional Level), he is translating App Inventor materials into Vietnamese. Trusting that English and IT can change life, he helps Charitable & Non-profit Organizations develop software, teach English and deliver IT training (basic IT skills, Microsoft Office and App Inventor) for underprivileged children and youths. He would love to share his passion for teaching App Inventor and welcomes all collaboration opportunities. Jose Luis Núñez is a secondary school computer science teacher, IT coordinator at the IES Isbilya in Seville, certified pentester and an enthusiast of using IT for education. He started his professional career as a teacher when he finished his Computer Science Engineering studies at the University of Seville. He subsequently participated in several projects as a web developer, system administrator and specialized in the field of computer network security for several years. In 2003, he received an award from Schlumberger Sema for his academic record at the University of Seville. He then started his doctoral studies in Industrial Computer Science Engineering and in Telecommunications Engineering at the University of Sevilla. At the same time, he worked on other projects based on computer networks, database management systems, web development and computer security audits. He went on to work for the government of Andalucia for four years in the Consejería de Educación, combining his independent research with his work in the Dirección General de Planificación. 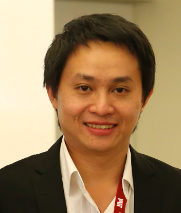 As certified pentester, he has taught Train the Trainers courses in the computer security field. 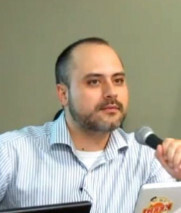 Recently, he has helped to organize OWASP Sevilla, a project promoting software security development in his community. Presently, he is involved in mobile programming and its potential use for education, combined with his daily teaching responsibilities. 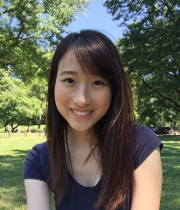 Maggie Oh is currently working at NVidia Corporation as a Lead VFX Artist on an unannounced project. Previously she has worked as a pipeline programmer, techArtist, and program manager in different departments at Microsoft, including HoloLens, Project Spark, Halo 5, and Halo 4. Before working on games, Maggie was in the VFX film industry for almost a decade at places like Industrial Light and Magic (ILM), Pixar, and the planetarium at California Academy of Sciences. She also had a radio show for four years in the Boston area, and has worked as a professional DJ. She holds a B.Sc. degree in Computer Science and Electrical Engineering from MIT, and was an MFA candidate at Academy of Art University. Youmna is the founder of Teen-Code (Coding workshops for teenagers) and of Executive-Code (Digital education program for businesses based on creating mobile apps). She's a former Chief Digital Officer & Deputy General Manager at international communications groups. She has a strong focus on developing new activities & out of innovative technologies. She's also a blogger, speaker, mentor for young entrepreneurs, volunteer for NGO and authored "Building a digital strategy" in 2011 (Ebook, Creative Commons). She's Franco-Lebanese and a graduate of the ESSEC Business School in France (1996). Daniel Paz de Araujo has a Bachelors in Computer Science, Master of Science in Intelligence Technology and Digital Design and is a Ph.D. candidate in Visual Arts. Daniel's research is focused on educational technologies, interaction design, visual arts, collaboration and accessibility. He teaches graduate and post-graduate courses about programming, web design, mobility solutions, convergent networks, educational technology, and digital games. Julie has been working as an educator since 2012. 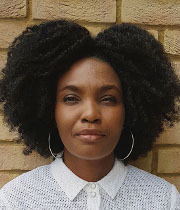 She began as a lecturer in computing and now works on the university outreach programme to support the national roll out of the new Computer Science high school subject in September 2018. She works with teachers and students in various schools and national organisations in the dissemination and deployment of App Inventor for CS and non-CS education. She also works as an Educational Technologist to enhance teaching and learning in general. Before switching to education Julie worked in Treasury and Investment environments for global banks in Japan, Australia, UK and Ireland where she developed strong analysis, design, development and project management skills. Kelly Powers recently joined Education Development Center to work on the MassCAN state-wide Massachusetts initiative to assist teachers and districts with designing an implementation plan to bring Computer Science into their k-12 curriculum. 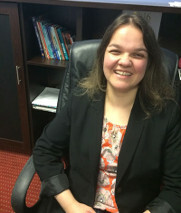 She has taught Computer Science for the past 15 years and served as Computer Science Department Chair and curriculum leader at the Advanced Math and Science Academy, grades 6-12. 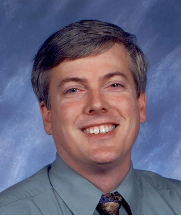 Prior to teaching, Kelly worked as a large systems computing specialist for IBM, John Hancock, and Harvard University. Kelly co-founded the Greater Boston Computer Science Teachers Association Chapter in October 2010 and is an active advocate for CS in the state. As a passionate educator, Kelly's goal is to engage all students in the joy of learning , to think computationally and build student's confidence in solving problems. In particular, Kelly has taken advantage of many outreach programs to increase girls participation in computing. This is her third year serving on the AITC team. Before becoming an MIT App Inventor Master Trainer, Ed taught middle school and high school students math in a public school for 19 years. In addition to MIT App Inventor, he is very familiar with "The Beauty and Joy of Computing", which is one of the curricula for the new AP Computer Science Principles class using the Snap! language, earning a certificate from University of California, Berkeley in 2012. Through self-study Ed has learned the new "Digital Literacy and Computer Science" standards of Massachusetts, and could tailor a training to these standards. Ed believes MIT App Inventor is a valuable creative tool which any interested person, young or old, can learn. It also has, he believes, the potential for making the person who doesn't believe they're interested in programming or Computer Science, become interested, and he is eager to spread the word and see this happen. Christopher Roberts lives and works in Northern Virginia, Washington DC and Southern Maryland. He is usually found working with youth ages 6 – 18, at the Boys and Girls Clubs of Greater Washington, where he is the Regional Education Director. 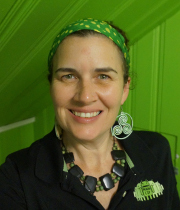 Ingrid Roche is a Computer Science and Technology Educator in Boston Public Schools. 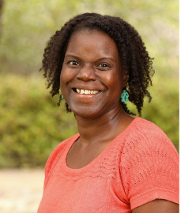 She is currently teaching 11th and 12th grade AP Computer Science Principles, working with Mobile CSP, and enjoying the teaching and learning experience. She leads workshops on technology, educator training, and teaching strategies. You can learn more on her website. 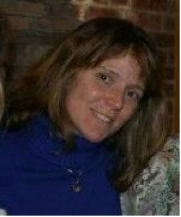 She began teaching in 1997 in Greenfield MA, teaching French and Spanish. Since that time, she has continued educating and has had the opportunity to teach and volunteer in several places around the world. In 2011 she was awarded the City of Boston Educator of the Year Award for Excellence in Teaching. Teaching has taken her on an interesting journey that has led to a keen interest in technology, programming, and of course App Inventor! Ann is in her 10th year of teaching. She teaches Computer Science and Engineering at Centaurus High School in Colorado. She started her teaching career in Bratislava, Slovakia teaching IB Chemistry and IB Math at a K-12 international school. She hung up her chemistry beaker upon returning to the U.S. and has taught math and/or AP Computer Science since then. 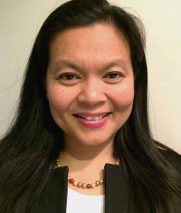 Prior to teaching, Ann worked as a software engineer for nearly 10 years at Xilinx and Intel. She has a B.S. degree in math and computer science from Purdue University and a M.S. degree in Computer Engineering from the University of Colorado. 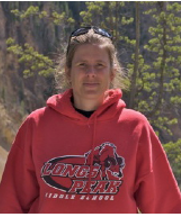 When not teaching, she enjoys trail running with her dogs, reading, gardening and traveling. 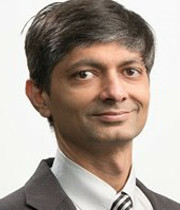 Krishnendu Roy is an associate professor of computer science at Valdosta State University (VSU), a public regional university in South Georgia. At VSU Krishnendu has organized computing summer camps for local middle and high school students for the past five summers. In these camps students are exposed to computing (often for the first time) through activities using novice programming environments like App Inventor, Scratch, Lego NXT, and Alice. Krishnendu has also organized Google CS4HS workshop for local K12 teachers in 2012 and 2013 where the teacher were involved in computing related activities. Krishnendu teaches a CS0 course at VSU using App Inventor and has created several introductory video tutorials on App Inventor that are available on YouTube. He is interested in developing instructional resources for novice programming environments like App Inventor for various outreach activities. Prior to joining VSU, Krishnendu completed his MS and PhD from Louisiana State University and BS from University of Calcutta, India. Lisa Saunders is Computer Science Specialist for the Pine Crest School in Boca Raton Florida. She has been an educator for eight years and currently teaches computer science to grades 6-8. She has designed and implemented CSTA standards based curriculum for middle school students using MIT App Inventor 2, Robotics and Arduino programming. 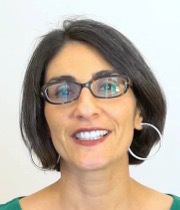 She is also responsible for designing and presenting professional development for faculty with a focus on enhancing core curriculum with computer science. Prior to teaching, she was a software engineer for Motorola specializing in communication and operating system software. Mark has worked with teacher and students of all ages, helping them learn about engineering, robotics, and computer science. He has run workshops is India, China, and many sites in the US. Mark is a doctoral candidate in Computer Science specializing in CS Education research at UMass Lowell, where he also teaches undergraduate introductory and language courses. He has prepared teachers for using Scratch, Snap!, MIT App Inventor, and the Beauty & Joy of Computing curriculum in their classrooms. Mark is also into rock climbing and helps run a Boston-area community theater company. Cora is an experienced Software Architect, Application Development Team Lead, IT Trainer and registered teacher in Professional and Vocational Development. She is enthusiastic in Technology Education, Technology Integration in Education as well as Instructional Design and Pedagogy. She sees herself as the agent transforming education with technology. Cora has been working with educators for more than 10 years in supporting teachers integrating ICT into their daily practices. 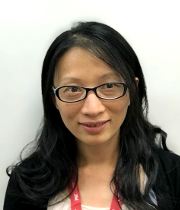 In her most recent role, she is leading the curriculum development team co-creating the Computational Thinking Curriculum for Hong Kong senior primary schools with the Massachusetts Institute of Technology (MIT). Rita is the Computer Science panel chairperson of a Hong Kong government school. 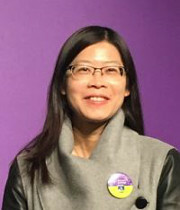 She is one of the Coolthink teachers of the Coolthink project which promotes computational thinking and coding education for Hong Kong primary students. Rita loves teaching, learning and technology. She considers herself a lifelong learner and educator. She is passionate about using technology to help students build confidence and aid them in reaching their potential. She has effectively transferred her creative skills and ideas to her teaching and encouraged self-learning for primary students. She loves working with students to help them grow in their knowledge about the amazing and changing world of computer science. Apart from teaching, Rita enjoys cooking, gardening and learning new forms of technology. She also finds enjoyment volunteering as a computer and English class tutor for youth. Dr. Smith is an Associate Professor of Computer Information Systems at Tulsa Community College in Tulsa, OK where he has taught for 22 years. 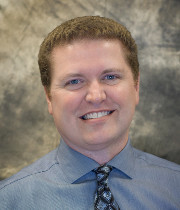 He is the founding and lead instructor for the college's Associate's Degree in Mobile Application Development in which students develop apps for iOS and Android Phone Platforms. He also teaches introduction to programming topics for Union Public Schools' Collegiate Academy and has been asked to develop mobile development classes for Tulsa Public Schools' EXCELerate program as well as TCC's summer College for Kids camps. He is also an adjunct instructor at Oklahoma State University and Nova Southeastern University. Michelle is the CEO and cofounder of First Code Academy, an education startup that teaches coding to kids from six and above. 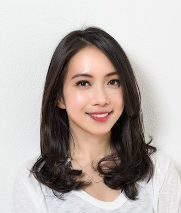 In addition to running First Code Academy, she is also passionate about women entrepreneurship and empowerment, cofounded a community for women in technology, Women Who Code (Hong Kong chapter). Prior to starting First Code, she graduated from the inaugural class of Hackbright Academy, and held various technical roles in high growth startups in Silicon Valley, including as the first growth hacker at Buffer and Bump Technologies (acquired by Google in 2013). Born and raised in Hong Kong, she graduated from the University of Chicago and began her career at Goldman Sachs as an equity analyst. Her work has received international and regional accolades including the BBC 30 Under 30 Women Entrepreneurs in 2015, Women of Hope Award (Entrepreneur Category 2015) and (Tech Category 2014) and American Chambers Women of Influence Awards (Young Entrepreneur Category 2015). Harsh Hiralal Thakkar is a creative IT professional with about 18 years of global experience spanning IT education, corporate training and project management, with recent exposure and specialization in mobile apps and web development. He is currently Professor of Web Development within Sheridan College’s Faculty of Applied Science & Technology (FAST) near Toronto, Canada. Harsh completed his Post-Graduate Degree in Management from the prestigious Indian Institute of Management (IIM) in Ahmedabad. Prior to that, he acquired his Master’s in Computer Application and his Bachelor of Science (Mathematics) from India. He has been a certified Project Management Professional (PMP) by PMI since 2004 and a Life Member of the Computer Society of India since 2008. In his free time, Harsh enjoys blogging, long-distance running and social activities. One of his stories was published in the book Chicken Soup for the Indian Soul. He has completed the Boston Marathon (2010), Chicago Marathon (2012 and 2014) and several half-marathons. Harsh is actively volunteering to promote "spoken Sanskrit" for Samskrita Bharati, an organization promoting the ancient language. Harsh has been conducting many sessions for App Inventor for the community every month at Brampton MakerSpace (joint initiative of Sheridan College and Brampton City Library system). 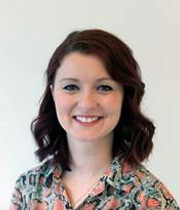 After completing an undergrad in Philosophy, Kerri worked in Law and went on to work in EFL and intercultural consulting in Latin America and Asia. 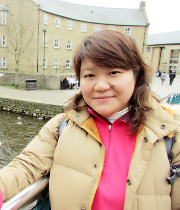 After returning to Ireland she completed an MSc in Computing and now works as a thick data consultant and App Inventor trainer while developing her research. 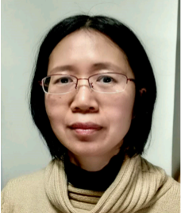 Her research interests include: Transdisciplinarity, Learning, Human-Computer-Interaction, Cognitive Ethnography, Activity Theory, curriculum development, innovation, and policy formation. Kim Tresohlavy is a computer science teacher at NIST International School, a premier school in Bangkok, Thailand. She started up their International Baccalaureate Diploma Program’s Computer Science course and is working with their national championship VEX Robotics teams. Having offered App Inventor after school to maxed out classes for two years, she is excited to expand her offerings both to her school and the greater Bangkok community. Previously she taught math, AP Computer Science A, Intro to Programming, LEGO Mindstorms, and coached Botball robotics in international schools in South Korea, Russia, and Qatar. Felix is ICT Coordinator and ICT subject panel of a local primary school in Hong Kong. 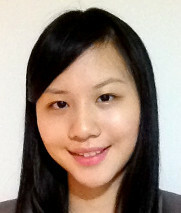 She is one of the first batch of Hong Kong teachers joining the CoolThink(at)JC project. Felix loves teaching, learning and technology. She is passionate about using technology to help students build confidence and aid them in reaching their potential. She is also working on integrating Mathematics and English with physical computing and STEAM education to engage students in solving their problems. Since 2010, Micheal has been teaching computer science to students between the ages of 6 to 11. Last year, he joined the CoolThink@JC program to promote computational thinking and coding education in schools. Therefore, he also teaches MIT App Inventor 2 and Scratch for students aged 9 to 11. San Francisco Unified School District (SFUSD), where he is working to expand CS instruction to all students and all schools within San Francisco public schools (see CSinSF.org). He oversees policy, curriculum development, and professional development. Previously, he worked as middle school dean, teacher, and technology integration specialist. BT graduated from Yale University with a degree in psychology and human neuroscience. He earned his master's degree in urban education policy and administration from Loyola Marymount University. BT is a facilitator, thought leader, and writer for the K-12 computer science framework, and a writer on the Computer Science Teachers Association (CSTA) K-12 standards revision task force. He also serves as a board member for Computer Using Educators (CUE) San Francisco. 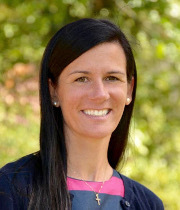 Kristin Violette is a teacher of Computer Science at Newtown High School and Manchester Community College in Connecticut. Kristin is certified in Technology Education, English, TESOL and CWE-DO. At the high school, Kristin teaches Web Design, CT Innovation Academy, AP Mobile Computer Science Principles and MIT App Inventor. She also offers courses in App Inventor at Tunxis and Manchester Community Colleges. In addition she has run several Mobile App Academies at for CPEP, Catalysts Powering Educational Performance, a non-profit agency supporting under-represented youth in STEM. Over the years, Kristin participated in the MIT App Inventor Summit and has presented on mobile app curricula at the CSTA Annual Conference. 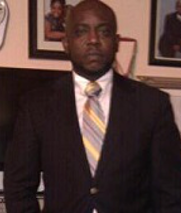 Mr. Walton currently works as a hybrid educator as a Professor and teacher in Dallas, Texas. He uses MIT App Inventor to teach design thinking and making skills to youth and adults. He currently teaches Web Technology, Videography, App Development, and Digital Interactive Media using a hands-on, learn by building approach. 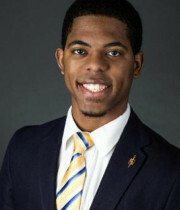 He has worked with community organizations such as Boys and Girls Club, Walton Inspires, and S.M. Wright Foundation to promote youth wellbeing and technology education by connecting K-8 and High School students to community members in service learning projects. He has taught App Inventor development one-on-one and as a class using the Google Helpouts and Blackboard Collaborate platform, and has presented at local district professional development sessions to encourage non-programmers to use App Inventor to solve personally meaningful problems. He uses App Inventor to help teachers innovate and connect students with real-world projects. He sees App Inventor as an exciting way to develop students and teachers as Makers. 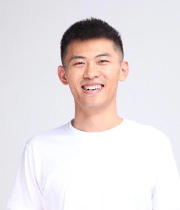 Jian Wang is a senior software developer and his volunteering experience in Canada Learning Code week raised his interest in helping kids learn coding. He founded Ignite Academy to design fun and inspiring learning experiences for young people to ignite their imagination and instil a love of learning. Andy Wong is a mathematics and science teacher at a local primary school in Hong Kong. 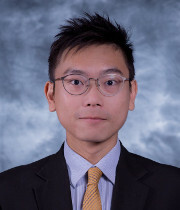 He is one of the Hong Kong teachers joining the CoolThink(at)JC project to promote computational thinking and coding education in local primary schools. Andy encourages students to show their learning achievement through making apps and videos. 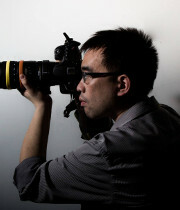 Emile Wong, a computer science enthusiast, worked in ERP development and IT management for more than 15 years in Toronto. He turned to focus on business development and started a retail and wholesale business in Hong Kong in 2009. 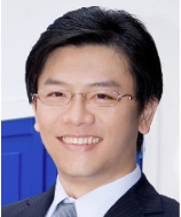 He came to be an accredited mediator both in Hong Kong 2011 and in Macau 2013, and serves as executive panel member for two non-profit organizations promoting mediation in Hong Kong. He believes "Learning carves destiny", and is a supporter for life-long learning. He has faith in computational thinking which can improve problem solving skills, anyone will benefit from computational thinking through App Inventor, especially for kids and teenagers if they perceive and comprehend it in early age. 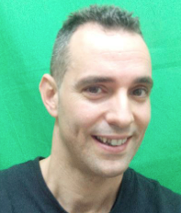 Emile has master degree in Computer Science - Information System, he is also a Big Data professional, Big Data science professional, Microsoft Certified Professional, eBay certified trainer, certified Mediation trainer. He is delighted to be a member of the MIT App Inventor Master Trainers family, is passionate to contribute in the educational mobile computing in the future. 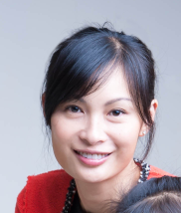 Teresa is the Operations Director of Little Urban Center Preschool in Shanghai, China. She is also in charge of the after-school programs and activities, including a coding club that introduces basic coding knowledge to young children. She is actively involved in exploring and learning emerging coding platforms suitable for young learners and designs curriculum materials for the same. Prior to joining the education industry, Teresa worked in the investment banking division in Rothschild in Hong Kong and the Corporate Finance division in Alibaba Group. She has a Master’s degree in Finance from Cambridge University and a Bachelor’s degree in Economics from London School of Economics. 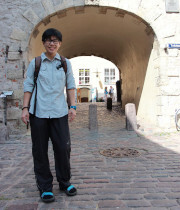 Ming Wu is an avid database and application developer. She has a bachelord degree in Computer Science from Lakehead University. Currently, she works in the Information System department of a Public Health Unit. She has extensive background in building web based business applications. 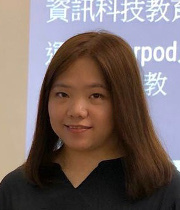 With over thirteen years of programming experience, Ming actively seeks opportunities to broaden her knowledge in the information technology field. After she completed Developing Android App With App Inventor (The Hong Kong University of Science and Technology), Mobile Computing with App Inventor – CS Principles (Trinity College), and the MIT App Inventor Master Trainer Program, Ming has grown a strong passion to become a Computer Science educator to teach students/teachers/everyone to learn how to make mobile app using App Inventor. Her mission is to empower the younger generation to become a CREATOR instead of a consumer of technology. Learn it, Create it, Play it, and Publish it! Anyone can create a mobile app! Would you like to create an app with Ming? Please contact Ming for one-on-one or group training. 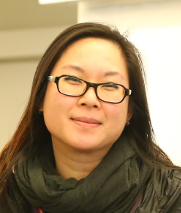 Anna Yu works on the coding team at Preface, a tech and design-driven education start-up. 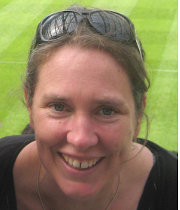 She is experienced in both teaching coding and curriculum design, particularly for young kids and teenagers. Preface’s coding curriculum is a well-structured program covering a wide-range of topics such as App Development, Building Websites, and Design Thinking. Anna also works on the implementation of Artificial Intelligence technology in the education sector to provide a personalized learning experience for all learners at Preface. Michelle is a primary school teacher from Hong Kong. She is one of the pilot teachers of the CoolThink@JC project. Michelle promotes computational thinking and design thinking with programming tools MIT App Inventor and Scratch in computer lessons. Michelle is also working on integrating Mathematics and General Studies with physical computing and STEAM education to engage students in solving their problems. Vincent Yuen is an enthusiastic computer literacy teacher (and panel chair) in an elementary school in Hong Kong. He completed a coding in education program at the Education University of Hong Kong in 2006. He is currently engaged in a local coding education initiative sponsored by the Hong Kong Jockey Club, titled "CoolThink@JC". He is responsible for developing school based curriculum in computer literacy conducive to his school’s own STEM curriculum. 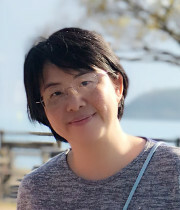 Anqi Zhou (Angie) has been teaching computer science and programming to teachers and students aged six to 16 since 2014. Her teaching tool ranges from the App Inventor, Scratch, HTML/CSS/JS, Python and many others. Angie’s focus is in designing fun and inspiring learning experiences for students, both in delivering after school computer science workshops as well as in incorporating programming in other school subject classes. Angie is also developing physical games and tools to help teaching computational thinking and critical thinking skills. Angie graduated with a Bachelor’s degree in Engineering from the University of Cambridge.